We always find ourselves talking about and discussing the great video games, but sometimes bad video games deserve a little credit too. They stick out in our minds, they are always with us and for the most part we never forget how much we dislike them. These reasons make terrible games special to us in a weird, masochistic way. Most people are just as passionate about the things they hate as they are about the things they love and I am no different. There are a handful of video games that stand out to me as the worst I have ever played – and I mean EVER. In this post I will be telling you all about those specific games and why I dislike them so much. Of course, all of this is my personal opinion so take it with a grain of salt. I’m going to let the hate flow through me, so get ready for some good ol’ fashion gamer rage. 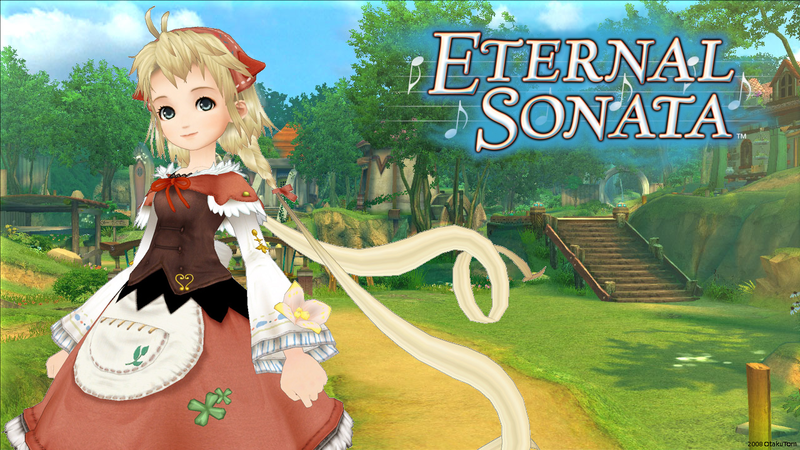 Eternal Sonata enticed me with its pretty art direction, fun characters and musical themes but even those aspects couldn’t keep me interested for long. I tried playing it once, got about 3 hours or so into it and put it down. I hated the long Chopin backstory segments that made me feel like I was watching a full length movie when all I really wanted was a little insight and to get back to the game. It really halted the already slow pacing of the game and took me right out of the game, never to bring me back in. I think I actually laid down and feel asleep during one of these segments which is pretty bad considering I never fall asleep when playing a game. The pacing in general, Chopin movies aside, was sloppy. I felt like it took forever to get the littlest things done and by the time they got done I didn’t even care anymore. Regardless, I actually gave this game a second shot and again quit playing it at about the same place I had quit before. I tried to give it the benefit of the doubt, but it failed me yet again which is probably the main reason why it’s on this list. It disappointed not once, but twice. There was a year or two in between these playthroughs so I had forgotten why I didn’t like it, but now I will never forget. This is far from the worst game ever but it was so frustrating because all I wanted to like it and I just never could. 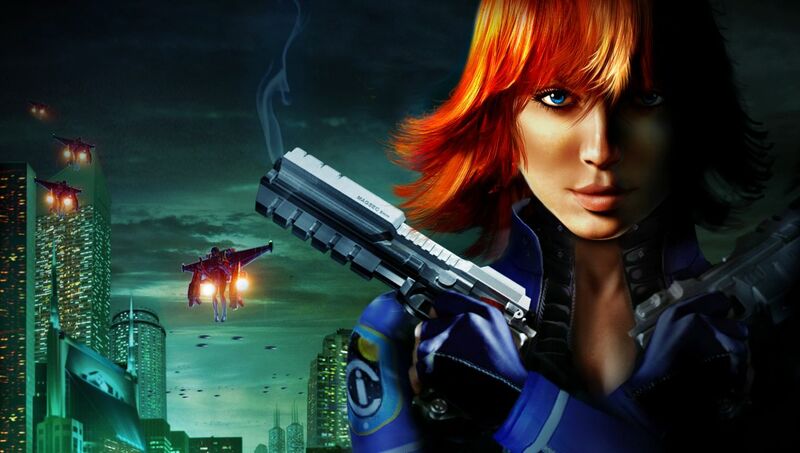 Perfect Dark Zero was the first game I purchased upon receiving my first Xbox 360, so there are various reasons as to why this one is so memorable – all of which are bad. I am a big fan of Perfect Dark (N64) and thought hey, this ought to be just as good right? Wrong. This was purchased in a more uninformed time, for me anyway, and I hadn’t looked at any reviews or read anything about the game previous to going into the game store. The guy at the counter even asked me if I was sure I wanted the game to which I replied “Uhhh… yeah.” He kept asking if I was positive the whole time I was buying it and I remember being irritated and thinking “WTF yeah I want to buy it leave me alone.” In hindsight he was trying to save me from the awful horroribleness that is Perfect Dark Zero. The gameplay was so clunky and the story was outrageously uninspired, there was nothing about it that I could remotely like. Even Joanna Dark was weird, nothing like how she was in the N64 game. I could hardly even play it. In fact I recall returning the game the next day due to how depressed it made me by being so freaking awful. I still make a stink face at the mere thought of this game. You may have been around when I streamed this game and if you went to any of those streams then I’m sure you already know how I feel about this game. For those of you who don’t, allow me to enlighten you. 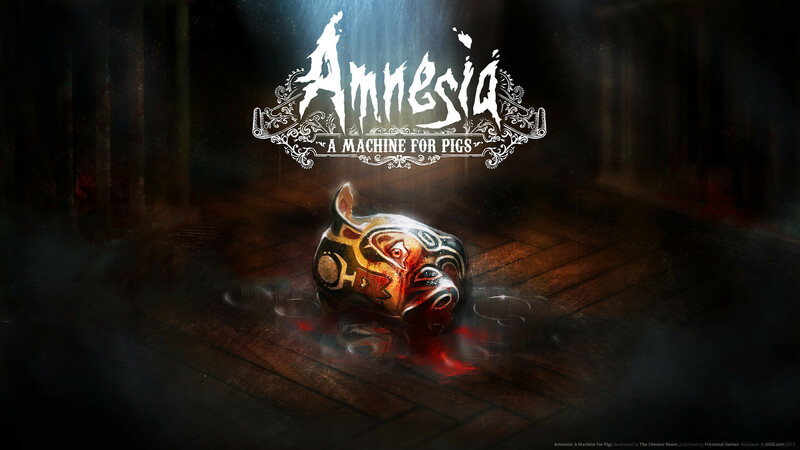 I loved Amnesia: A Dark Decent so when AMFP was announced I was so excited and really looked forward to its release. I bought it immediately when it came out on Steam and eventually streamed my first playthrough of it, as I did with the first game. I tried getting into it, but I just couldn’t. There was a lot of “Oh be scared here” areas that had nothing backing them which was annoying since I wanted to be frightened and I felt the story was always lacking – there was just no substance. I was intrigued by this new enemy that I was supposed to be scared of but it was a FREAKING MAN PIG which pissed me off. I was bigger than it, how is that even remotely frightening? On top of that, there were all these damned puzzles that instead of challenging me (as they did in the first game), just irritated me more because of how ludicrous they were. I was so severely disappointed that I didn’t even finish the game. I ended up rage quitting it and streaming something else. I was so uninterested and unmotivated I left it unfinished – never to be seen by my tired eyes again. 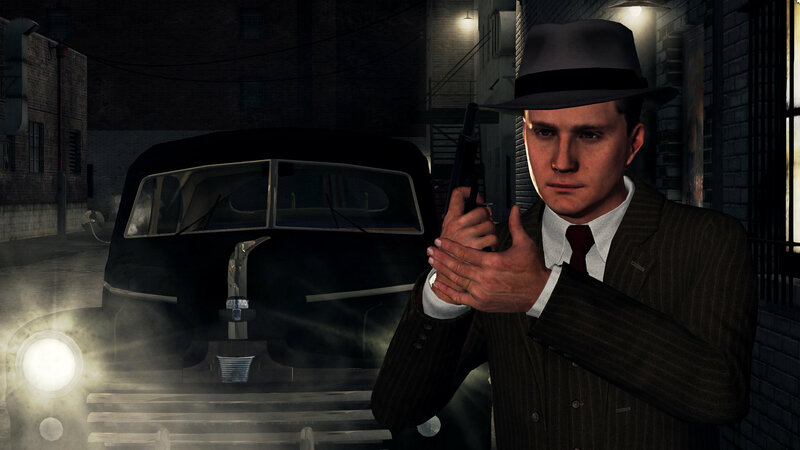 L.A. Noire seemed like such a promising game when it was released. I thought the concept was pretty solid and the gameplay looked really unique. Investigating crimes scenes and finding the criminal through your skills in deduction? Neat! Interviewing witnesses or suspects while having to discern whether or not they are lying? Awesome! Playing as a cop/detective in a Los Angeles in the 40’s with a noire theme? Badass! At least, that’s what I originally thought. The game was pretty solid for the first half or so, luring me into a false sense of security, and then it all started to fall apart. The gameplay got overly repetitive, so repetitive that I was actually annoyed by it which is relatively rare for me. The characters all started to become just terrible, awful people who I ended up truly hating and the storyline started to become so drawn out and boring that I lost all interest around the time that I was brought into Vice. I decided to force myself to finish it, hoping that it would redeem itself at some point but spoiler alert: It never did. It only got worse. L.A. Noire left me disappointed and angry, a combination of feelings that helped to land this game on this specific list. None of the previously mentioned games on this list can even begin to compare to Aliens: Colonial Marines in regard to being supremely atrocious. Much like all of the other games I have mentioned, I had high hopes for Aliens: CM. 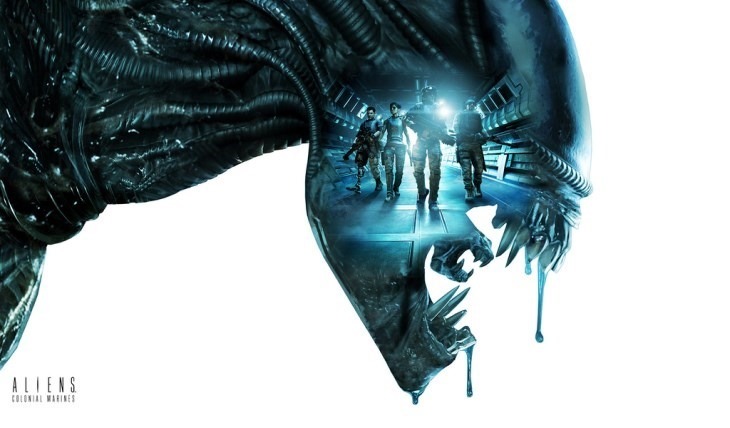 I loved the Alien movie series and thought that, from the footage I had seen, this game looked really awesome and would bring forth some movie-like scenarios. I bought it on the day it came out, full price, and have never in my life regretted something so much. Everything was wrong with this game, I have can’t find one single redeeming quality. My fiance and I played it together cooperatively and while he didn’t hate it as much as I did, neither of us could bring ourselves to finish it. There was just nothing to hold on to. It’s not as if the gameplay was awful but at least the characters were good, or vice-versa. It was all bad. Every last bit of it from the dialog to the in-game HUD and everything in between. I have yet to find a game that I have been more disappointed by than Aliens: CM and I hope to never experience a game that I dislike more. Hate is a strong word but it’s ever so fitting when describing my feelings for this terrible joke of a video game. Those of you who know me should have figured out by now through my reviews and whatnot that I try to focus on the positives of all video games. I always try to find something worth being happy about in every game I play because to me video games are supposed to be fun. If I can find one fun thing about a single game, then I win and the game is not a total bust. That being said, these are some of the worst games I have ever played and none of them had a “fun” factor. There was no enjoyment to be had – just boredom, anger and/or frustration. It’s relatively rare for me to dislike a video game to the extents seen above but it does happen from time to time, as you can clearly see. What are some of the games that you consider to be the worst you have ever played? Put them on blast in the comment section below! Finally someone agrees with me on Amnesia! That game was so boring. I agree with all of your choices except L.A. Noire. I thought that was one of the best games I’ve ever played from Rockstar. Awesome article :]. Sorry for the double post, but I think just about every Final Fantasy game in existence are some of the worst if not THE worst games I’ve ever played in my life.